These patents add to the similar protections won in countries such as India, Korea, Singapore, Canada, Japan and Australia in the past. Suven Life Sciences said it has obtained one product patent each from China and the US related to its 5-HT4 and 5 HT6 compounds. 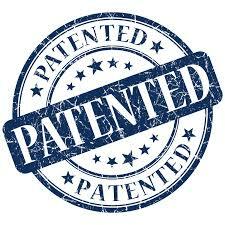 The Chinese patent has the number CN105814020 and the American patent has been granted under no 9957257. The patents are for the use of the compounds for the treatment of disorders associated with Neurodegenerative diseases and are valid through 2034-2036. “The granted claims of the patents include the class of selective 5-HT4 and 5 HT6 respectively,” the pharma company said. The compounds are being explored as treatments for Alzheimer’s disease, Attention deficient hyperactivity disorder (ADHD), Huntington’s disease, Parkinson and Schizophrenia. “We are very pleased by the grant of these patents to Suven for our pipeline of molecules in CNS arena that are being developed for cognitive disorders with high unmet medical need with huge market potential globally” said Venkat Jasti, CEO of Suven. Suven has 4 clinical stage compounds, a Phase 2 undergoing SUVN-502, Phase 2 ready SUVN-G3031, Phase 1 completed SUVN-D4010 and Phase 1 commenced SUVN-911. In addition to these clinical compounds, the Company has nine discovered therapeutic drug candidates currently in various stages of pre-clinical development.